“To me, practicing Yoga is all about welcoming “balance” into our lives. When we move in one direction all the time, we can lose our sense of balance. Balance is about finding that sweet spot between ease and effort. Where you find yourself going “ahhhhh,” and giving yourself permission to let down your guard. Similar to when you are in Tree Pose, and we try and stay strong and tend to stiffen up and then we forget to breath. Instead of having a soft anchor knee so we can sway with the winds that breeze by us. “I have stopped trying to find that ambitious kind of balance that I read about in magazines. The kind of balance that doesn't ebb and flow. The kind that feels just beyond my reach. The balance I seek now moves, changes, looks different on any given day. It's not something I can capture in a mason jar, nor do I try to. It's more like a dance. A falling in and out of step with my partner. And fall out I do. The difference now – I step back in with as much compassion and kindness as I can. For me, it's not about losing balance. It's about realizing when I do and then flowing back in, without judgement, without self-criticism and with the biggest heart I can find. 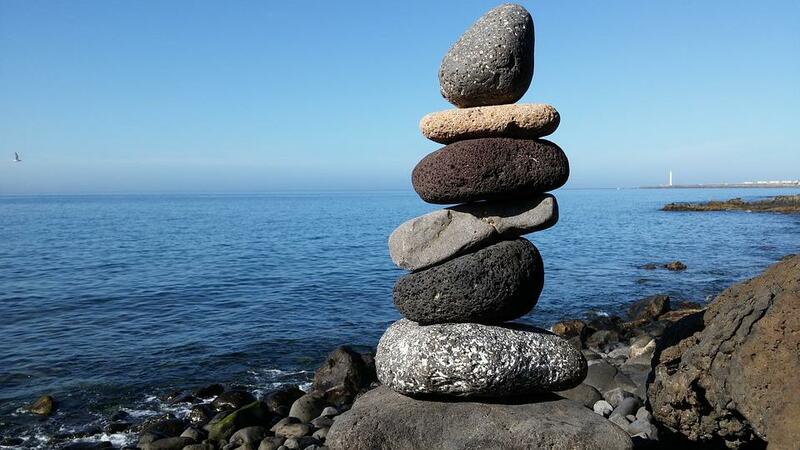 Share your thoughts on what balance means to you, by joining the conversation on our blog.